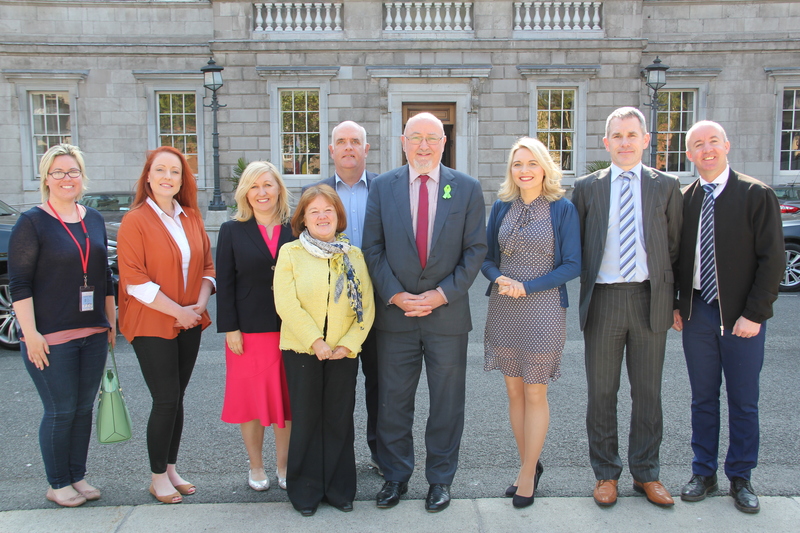 A meeting was held in Leinster House on Thursday 11th May 2017 in relation to the ISL Recognition Bill. In attendance was the Chair of the Joint Committee on Justice & Equality, Deputy Caoimhghín Ó Caoláin and representatives from Irish Deaf Society, Cork Deaf Association, Cork Deaf enterprises, Cork Deaf Club, Centre for Deaf Studies, the Council of Irish Sign Language Interpreters and the Kerry Deaf Resource Centre. The Deputy was very receptive and very supportive of the Bill. He asked the group for a briefing report in relation to the Bill, which he could then circulate to other public representatives. Please click on the link below to read the report which was submitted The Cork Deaf Association is very proud to support the wonderful work of the Irish Deaf Society, which is leading the campaign for ISL Recognition. One step closer but still a long way to go. Please click the link below for a signed version of the briefing report.